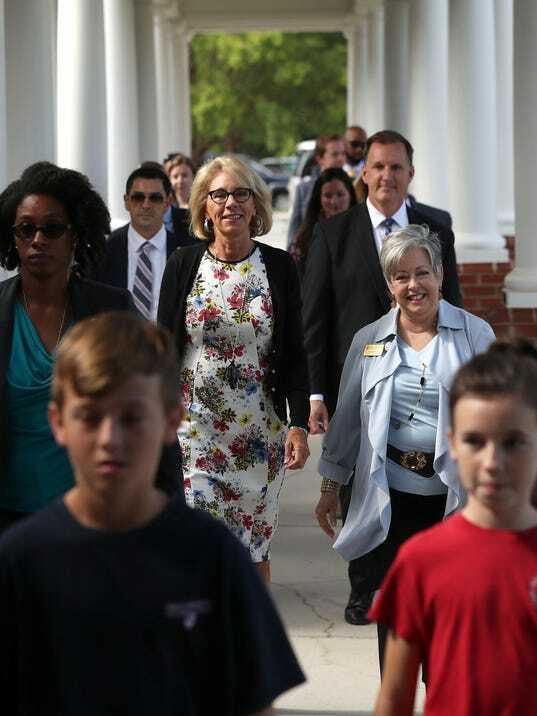 TALLAHASSEE — The Trump administration’s secretary of education, who visited schools here Tuesday, decided to extend her visit for a second day but still won’t set foot in any public schools, according to her schedule and confirmation of other stops. 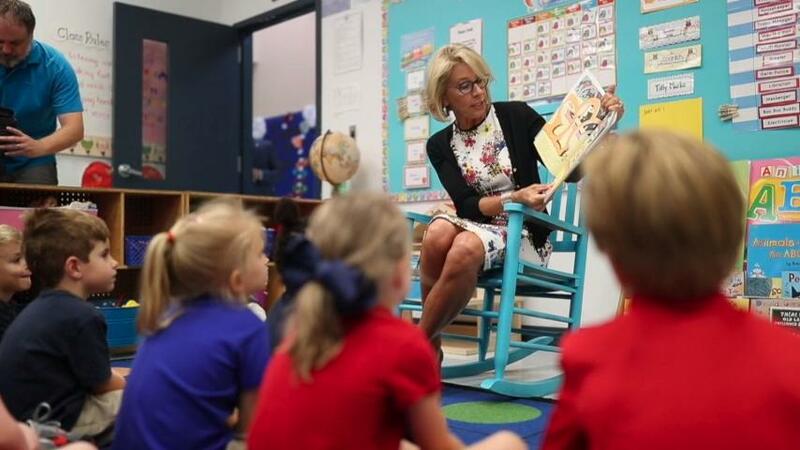 Betsy DeVos, a staunch supporter of charter and private schools who now heads the federal department responsible for public education, made stops Tuesday at Holy Comforter Episcopal School and Florida State University High School, according to her official Department of Education schedule. On Wednesday, she plans to visit Bethel Christian Academy, a voucher school run by Bethel Missionary Baptist Church, the church confirmed because her public schedule does not mention the stop. The president of the Leon County Republican Party, Evan Power, contended that Hannah had politicized DeVos’ visit. “What should be ‘insulting’ to the citizens of Tallahassee is that their elected official decided to lead partisan attacks rather than focusing on the needs of teachers and students,” Power said. • Holy Comforter is a private religious school with 550 students enrolled in prekindergarten through eighth grade. • Florida High is a charter school with 1,700 students in kindergarten through 12th grade that has been consistently ranked as one of the top charter schools in the state. • Bethel Academy is a private religious school with fewer than 100 students in prekindergarten to sixth grade that is serving low-income families as part of the state voucher program. “This is an opportunity for us to showcase our STEM (science, technology, engineering and mathematics) initiative and one-on-one educational programs to a national audience,” said Virginia Culpepper, Holy Comforter’s director of communication. President Joanne McCall of the Florida Education Association, the state’s largest teachers union, isn’t surprised that DeVos appears to be shunning public schools. “DeVos has never committed to the basic premise that all schools that receive public funding should be held to the same standards of accountability,” McCall said. The education secretary is promoting a Trump administration budget proposal that would cut total federal spending on public schools by $9 billion but direct an additional $1.4 billion to school choice programs. The Trump proposal includes $1 billion to encourage school districts to adopt an open enrollment program that enables money to follow a student to the public school of his or her choice. It also diverts $250 million toward new private school choice programs and bolsters charter school financing with an additional $168 million. Hanna said he and state Sen. Bill Montford, a Democrat who represents Leon and 10 other Florida counties and is chief executive of the Florida Association of District School Superintendents when the legislature is not in session, were invited to DeVos’ appearance at Bethel Academy. Montford was not able to be reached for comment.